Wishing you all a wonderful week. I have been testing some foundations recently and I would like to share my thoughts with you during the next days. It is always exciting to see a new foundation being released by a well renowned luxury skin care brand because to me those are exactly the brands who know how to layer something all over your face without irritating nor drying it out. When it comes with the claim of being long wearing and hydrating as well as pores refining and healing, it excites the cosmetic nerds in us. Does it hold the claims? 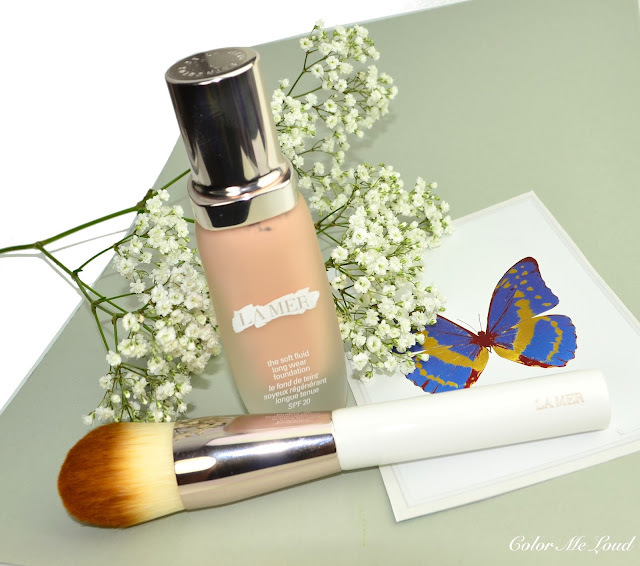 Read on for my thoughts on La Mer Soft Fluid Long Wear Foundation and Foundation Brush. La Mer Soft Fluid Long Wear Foundation comes in a modern chic 30 ml glass bottle with a pump for application. The cap is plastic with a silver coating and name of the brand and line is engraved on top, as Skin Color de La Mer. It provides sun protection SPF20 and it is given that it includes regenerative Miracle Broth as well as antioxidants and it comes in fifteen different shades. For those who don't know my skin type, I am normal to dry with dry patches e.g. around the nose and between the eyebrows those especially get prominent during winter. I received this foundation sometime around early October but I was too tanned to wear it back then. Now my sun kissed face is gone and much missed, I am back to my original shades so 12 Natural works for me, although it is a little cooler than what I am accustomed of. There is a comparison swatch at the end of the post for those of you who are close to my coloring. To make the application easier, La Mer also released a dome shaped dense brush. The hairs are synthetic since it is for liquid application and the end of the bristles are darker color, that make it look less dirty and more chic on your vanity. 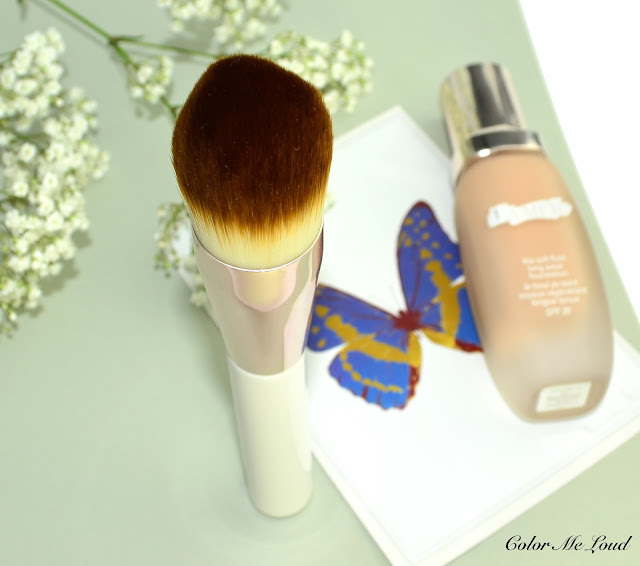 The brush is very soft to touch and the shape makes it easier to apply and blend by applying different pressure. I usually apply liquid foundations with my fingers to have most control on how much I am applying and where but later on I like going over the application with a foundation brush to blend it and work it into the skin. Along with Radiance Brush of Rae Morris, this had been one of my favorites for this task. I would describe this foundation as medium coverage that could be easily build up to medium to full if needed. The finish is velvety that looks very natural with light reflecting properties while evening out the skin tone wonderfully. Long lasting claim certainly holds and at the end of the day, without reapplication, my skin still looks well. That said, dry gals should know that long lasting foundations might be a little hard to wear for their driest days and La Mer Soft Fluid Long Wear Foundation is no exception. If I don't moisturize very well in the morning or even from the night, on my dry patches it looks a little too powdery and a little flaky. At the same time though I heard girls with combination and oily skin rave about how long lasting that is, so it is no wonder that the driest patches of us dry/normal girls might not be very happy with this one. I have a close experience with Tom Ford Traceless Perfecting Foundation. Unfortunately my sample didn't come with ingredients list but if you are interested I can try to take a photo next time I am visiting the La Mer Counter. The foundation is perfumed though, smells divine but if you are allergic, that might be something you would like to keep in mind. Here is a shade comparison of La Mer Soft Fluid Long Wear Foundation #12 Natural. You can see that the lightness of that shade is spot on for me but it is cooler than my other good matches such as Guerlain Parure Gold #2 (or #12) and very natural toned Chanel Vitalumiere Aqua B20. I am also enjoying Sisley Sisleya Le Teint 1.B Ivory that doesn't look so deep on my face as it shows here, interesting. I will write about that one soon as well but for now all I can say is that it is much more geared towards dry skin but not as long lasting as La Mer. Check out Linda's review here. 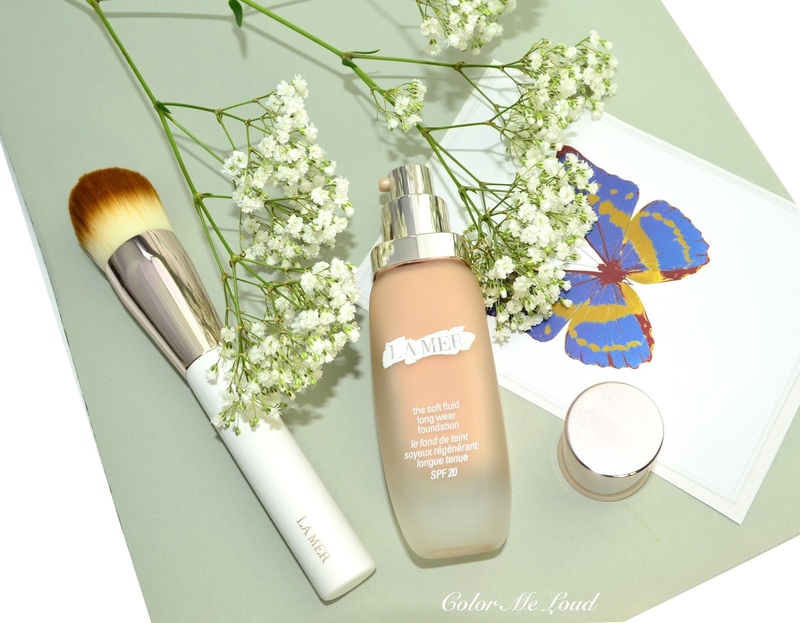 Final thoughts: La Mer Soft Fluid Long Wear Foundation is a medium coverage velvet finish foundation that is geared more towards combination skin although if you have dry to normal skin, you can enjoy it after a good hydration as well. It looks very natural on the skin, provides it with skin care benefits and lasts all day. Shade #12 Natural is a light shade with cool undertones. It comes in fifteen shades so you have a good chance to find the one for you. Have you found a foundation that lasts all day long on you? Thank you for your review. This foundation sounds great but I'd have to see if they have a light shade with neutral undertone. I'll also have to try a sample of Sisleya. I've got their Phyto Teint Expert but it's too pink. I usually find my best shade match (especially for winter) with Japanese foundations. La Mer Line has very light shades. If you are very pale, I'd go for Porcelaine. I will write a review of Sisleya very soon, hope it will be helpful for you. I was sent this in a completely wrong shade, so I gave it to my mom. Luckily it's her shade, and she's be enjoying it. I've recently discovered some good bases, and one I've been enjoying is Shiseido Synchro liquid foundation. The price is mid range too, which makes my wallet happy. Very lightweight with medium coverage. Can't wait for the Glow version to launch! I have dry combination skin. I'm pale but a lot of pale foundations are pink which shows a line between my face and neck (I don't like wearing foundation on my neck). 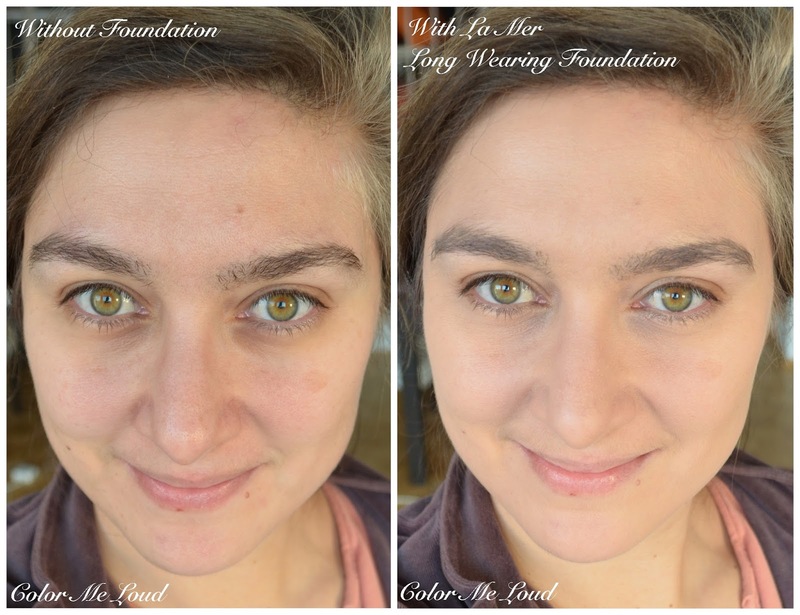 I need pale foundations with truly neutral undertones. I'll try to get a sample of Porcelain when I'm near a La Mer counter. And looking forward to your Sisleya review. Thanks. I've been wearing this in Ivory since it was released last summer. It's a lovely shade which matches my skin tone perfectly and the finish makes a good satin-matte canvas for my other products. I have bone dry, mature skin and so I am always slathering my skin with a combination of serums, oils, and creams. So far, I haven't had any problem with the foundation looking patchy but that could well be because of all my skin prep. While my skin is still very moist, I apply my TiZo sunscreen which is a physical sunscreen that is also a primer (It's loaded with dimethicone). Consequently, I haven't had any issues with the foundation looking flaky or patchy. What I have noticed, though, is that it does tend to skip over the pores on the sides of my nose and so I have to be careful to really work it in. I usually apply foundation with my fingers, but around my nose, I must use a brush. All considered, it is a very good foundation, but it hasn't dethroned my beloved Clé de Peau Radiant Fluid. Try a sample of Ivory as well. Thank you for the review. I somehow can't get myself round to getting a La Mer foundation. What I've tried so far (from friends and samples) didn't match my complexion shade-wise at all. I have found a couple long lasting foundations; either the Bobbi Brown Longwear one or the Chanel Le Teint Tenue work great on me :). Have a good weekend! This one looks so beautiful on you, Sara! Thank you for the link love always, and i'm glad you are enjoying this as much as I am. It's my HG!! !